Dr. Cohen is currently an Assistant Professor of Medicine at the Zucker School of Medicine and an inpatient hospitalist at North Shore University Hospital in Manhasset, NY. Throughout her medical training, she consistently worked on projects to improve quality in the healthcare setting. As a Doris Duke Fellow in medical school, she carried out a research project to assess patients’ adherence to their asthma medications, acquiring skills needed to ask a research question, design a project to address the question, analyze the data, interpret the results, and present them to the medical community. During her internal medicine residency, she was an active member of the quality improvement committee, participating in weekly meetings to create and test projects to improve inpatient services with a focus on improving communication between doctors, nurses, and patients through daily goal sheets completed during morning rounds. 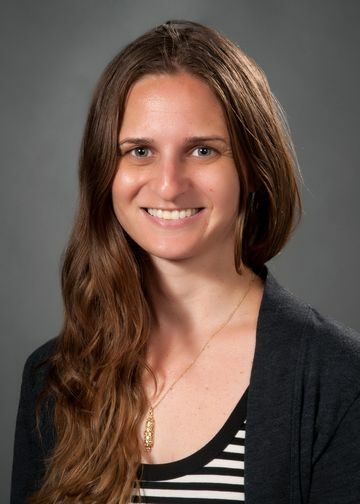 She also initiated the creation of a COPD registry to identify risk factors for readmission in COPD patients through retrospective chart abstraction and analyzed a multi-center survey study looking at how coping mechanisms relate to resilience to and recovery from job burnout among resident physicians. In her current position as an academic hospitalist at North Shore University Hospital, she has continued to pursue quality improvement initiatives. She served as the team lead for developing an evidence-based protocol to rapidly reverse warfarin in emergency situations, and serves as an active member of the organization’s CLOT Collaborative. Under the CLOT Collaborative, she lead a multidisciplinary workgroup of clinicians and pharmacists in creating system level guidelines for both inpatient and outpatient management of DOACS, incorporating evidence based literature and international consensus guidelines into its formulation. She is also currently pursuing an MBA at Hofstra University in Quality Management for the organization. Cohen J, Mann DM, Wisnivesky JP, Leventhal H, Musumeci TJ, Halm EA. “Assessing the validity of self-reported medication adherence among inner city asthmatic adults: the Medication Adherence Report Scale for Asthma.” Ann Allergy Asthma Immunol. 2009 Oct; 103 (4): 325-31. Cohen J, Sinvani L. “Respiratory Failure.” In Manu P, Karlin-Zysman C (Editors). Handbook of Medicine in Psychiatry, Second Edition. American Psychiatric Publishing, 2015.